Additional Title: On Darby Creek between Addington and Clifton, Delaware County, Pa.
Undated photograph of the Lower Swedish Log Cabin, taken sometime before the historic building was renovated in 1987. 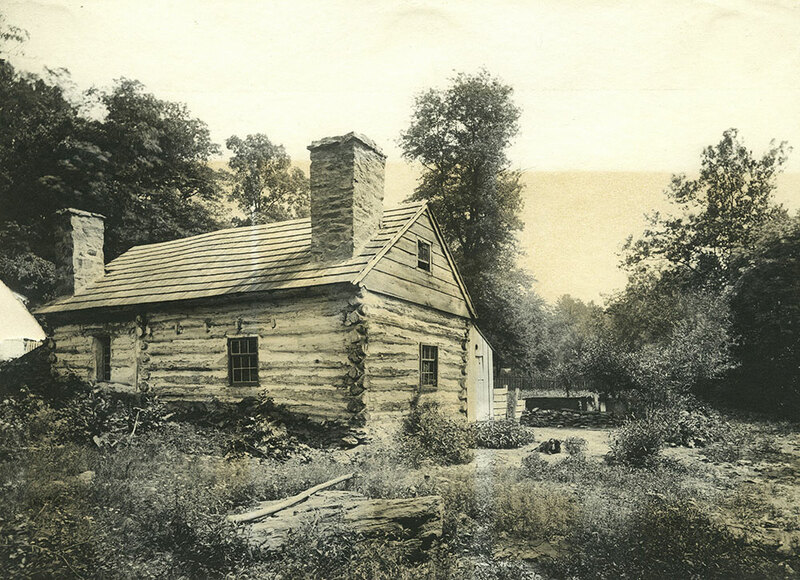 Situated on Creek Road alongside Darby Creek in Delaware County, the log house was built by early Swedish immigrants who settled the New Sweden Colony along the Delaware River. Possibly the oldest log cabin in North America, it was built between 1638 and 1655. It was added to the National Register of Historic Places in 1980.